Summer is winding down. The light is shifting and a hint of autumn wafts on the breeze. 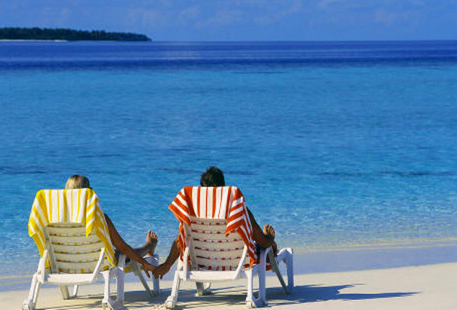 If you haven’t taken a summer vacation yet, odds are you are a small business owner. Sure, you can work on your laptop outside in the dog days and cut back your hours, but those small concessions to the season do not yield the same benefits as same as taking a true break. One of the drawbacks of being your own boss is that the demarcation between work and the rest of your life becomes hazy: the dreaded schedule creep. Somehow the clear advantages of being able to match your work style to your natural circadian rhythms (I’m looking at you, night owls) and accommodate the inevitable tasks that need to be completed during standard business hours are offset by a tendency for work to expand to fill all of the nooks and crannies of available time. And with the intertwining of social media and enterprise it’s hard to tell what’s work and what’s not anymore. Does it even matter? Common sense suggests that it does, and research confirms it. But that doesn’t mean it’s easy for the small business owner to close up shop, hop in the roadster, and head for the hills. At least, not to any vacation destination that doesn’t have high-speed internet access. Part of the problem is that the demands of your business don’t stop just because you’re on vacation, and many entrepreneurs don’t have anyone to cover for them. But for many, those facts obscure a deeper, darker truth: they can’t get into vacation mode. Much ink has been spilled over our collective inability to unplug, and groups like Digital Detox, based in Oakland, California, have formed to lend support to the tech-tethered seeking to break the habit. Figuring out what to do when you’re not online can leave you wondering what you used to do. After all, you weren’t born with a smartphone in your hands. (You might even be old enough to remember when the most exciting thing to happen to phones was being shaped like Snoopy.) Some people just seem to have an innate ability to kick back with a cold one and stare at the horizon or relax with an old-timey hobby like whittling, whereas others get fidgety and panicky at the first sign of a slowdown. But you don’t need to be bored on vacation—you just need to be on vacation. An active adventure that stimulates the gray matter can be even more rewarding than lumping around on a beach. The first step is strategizing to minimize and cover your workload while you’re away. If you need to check in from vacationland, set limits and stick to them. Communicate with clients or vendors about any deviances from business as normal that will affect them. You don’t need to overshare, but you don’t need to be secretive either. (You might be surprised at how understanding people can be if they know what’s going on.) Do some planning so your vacation isn’t a bust, and then get going. Even if being a small business owner necessitates redefining the meaning of vacation, it shouldn’t mean missing out altogether. Your mind and body—not to mention your family and friends—will thank you.